Your vehicle has a 17-digit vehicle identification number (VIN) used to register your vehicle for warranty purposes, and for licensing and insuring your vehicle. 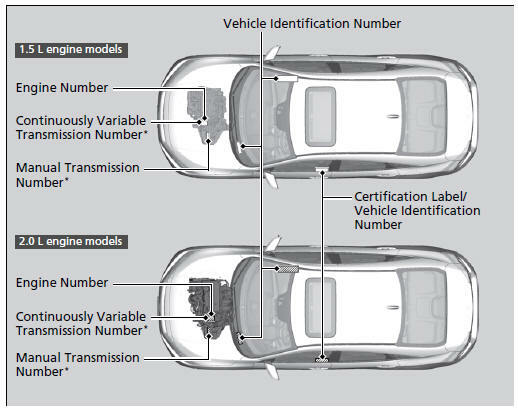 The locations of your vehicle's VIN, engine number, and transmission number are shown as follows. 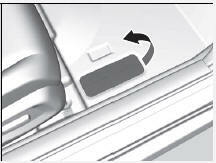 The interior vehicle identification number (VIN) is located under the cover.